A very interesting article in Times2 this week discussing the merits of networking which made some very big claims. The Business Network International has 4700 local groups. The value of networking is [of course] all old news to graduate PRs who have been to one of our drinks evenings but the article provided the ideal opportunity for a shameless plus of our next event on September 6th. See here for details. Oh and contrary to the Times article, we believe that networking in the truest sense doesn’t require a time limit per person, you don’t have to make a new business contact and you certainly don’t need to have a stack of business cards to attend. If Bill Clinton has kept notes on everyone he has met since University, well good for him. We just fancy a few drinks after work. You may well have read the generally amusing Cityboy column in the London Paper the other day. [Apologies for our non-metropolitan readers] Suggesting a career in PR was worse than working in an abattoir seemed harsh. After all, there is eye candy like this to brighten your day [I’ve got reservations about ‘The Hot Hack Blog’s’ raison d’etre, but amusing nonetheless. And how many industries would see your company making videos of your away day quite like these from Golin Harris?! Funkycartons is challenging design talent to put the art, quite literally, into cartons, as part of the ‘Artons 2007 competition (www.funkycartons.com). There is a cool £5,000 on offer for the most creative design on a carton, and the only limit is imagination. 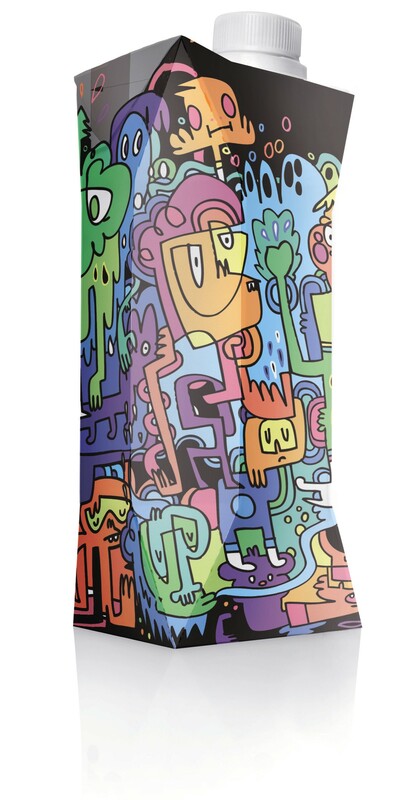 To demonstrate just what is possible, two of the hottest street artists around – Dist and Jon Burgerman – have also produced carton art, showcasing just how creative the possibilities can be. From today, the design community is being challenged to beat the street artists at their own ‘Artons game. Perhaps you want to impress your boss with some ‘outside of the box’ creativity? Maybe you’d like to showcase your talent in a whole new medium? Quite likely, you’re keen on the sound of £5,000 towards a dream holiday, wish-list computer, or entirely new wardrobe? Whatever you want to do, Funkycartons wants you to put the art into cartons. The ‘Artons 2007 challenge is to create a design for a carton and competition entrants can let their creativity run wild on an imaginary mineral water product. The street artists’ showcase designs, full competition details and entry forms are all viewable at http://www.funkycartons.com and the deadline for submissions is 26th October 2007. The ‘Artons competition is open to any design talent in the UK and Ireland, and will be judged by a panel including Lynda Relph-Knight, editor of Design Week, Michael Wolff, ex-founder of design agency Wolff-Olins and street artist Jon Burgerman. The competition has been launched by Funkycartons, an organisation set up by Tetra Pak, the leading manufacturer of paper-based drinks cartons, to work with the marketing, design and brand community. The aim is to showcase how cartons can be used as a modern packaging alternative for a wide range of beverages. With a printable surface many times that of a traditionally labelled plastic bottle, cartons enable more visibility for brand design and messages. The advantages of cartons aren’t all visual, however. Cartons have a great story to tell environmentally: they are predominantly made from a renewable material (wood); are an efficient use of resources; are efficient to transport; and can be recycled. With recycling opportunities increasing all the time, the whole of the UK will be covered by carton recycling facilities next year. For products which aspire to be more than just another bottle, the choice is simple… grab a funky carton. 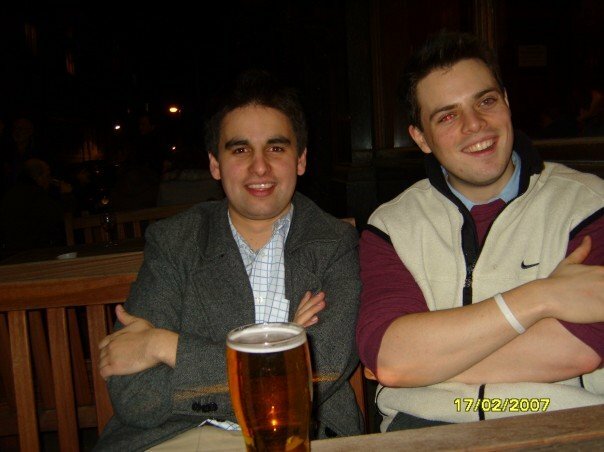 PR and Comms – Let’s party like its 1999 (members)! With the summer finally here to refresh jaded PROs and a new wave of PR graduates arriving fresh faced, we figured it was time we organised the next PR and Comms drinks to make the most of the sunshine. Since then the group, the drinks, and the blog have gone from strength to strength and by the time we get to the 6th of Februarys for the next drink we’ll have crossed the 2000 members mark. Ultimately, we set the group up because we wanted to meet interesting PR and Comms people and have a few pints after work. If you feel the same then please do pop along and invite anyone else you think might be interested. Look forward to meeting you in September. A quick post to flag up two new ideas I stumbled across on Facebook during the last week. [ This could be an excuse to rhapsodise about the joys of Facebook, but my enthusiasm has long been evident enough, although do check out this video]. First up is new office food venture Zero. Seems a stonkingly good idea- a bit like Pret/Innocent back ‘in the day’ in terms of ethos and approach. Best of luck to them, and I’m sure they’d be keen to hear from people interested. Entirely unconnected but intresting is Vlogyourjob. It’ll be interesting if they can convince time-poor directors and senior bods to take the time to film job summaries etc, and what the quality will be like. As a concept there are undoubtedly benefits for the candidates in being able to get more of a flavour of a potential job than in a bland, employment law restricted print summary. I’d definitely agree with Stuart that it would benefit from more content before launch, but that’s a problem every site/blog faces. If you do have interesting new services/products relevant for PR, do drop us a line, and if we reckon it’s any good we’ll most definitely blog it. Finally, WebitPR’s Social Media News Release [SMNR]. A vision of the future, or niche interest? It is certainly interesting, and personally I really like the idea. It’ll be interesting to see how far take up can extend beyond tech sector, who would be more prepared for this. See Stephen’s post for a lot more details and questions. As a weekend treat, here’s the Thriller prisoner video [also in today’s Times.] Inspired.